Apply oil on hands before you begin, to prevent glue stains on fingers. 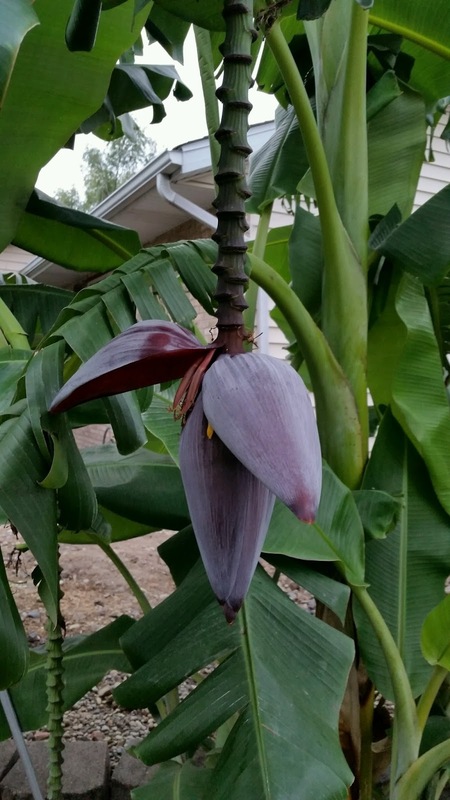 Peel and discard the tough, purple outer layers (called bracts) of the banana blossom. Save the group of long pale yellow/brown flowers under each leaf. Repeat discarding the purple layer and saving the flowers until you reach the white/pale yellow heart. Open each flower from the cluster and pull the stem that looks like a match stick and discard it. Chop the flower and heart to small pieces and put them in a bowl containing water and a tablespoon of yogurt or turmeric powder, to avoid discoloration. Heat oil in a sauce pan, add mustard seeds and cover the pan. When the seeds are done popping, add urad dal, red chili pepper and curry leaves. Stir for 15 sec. 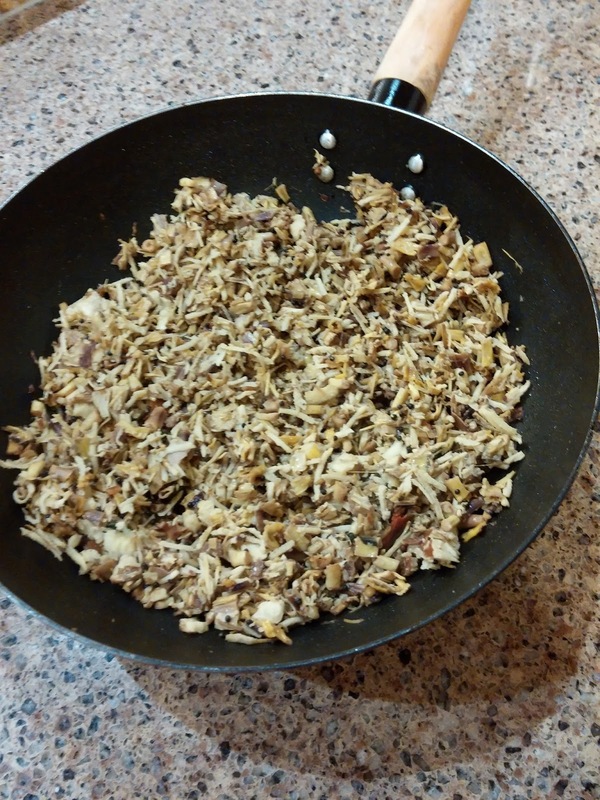 Add the chopped banana flowers, turmeric powder, salt to taste and 1-2 tablespoons water. Mix well and let cook covered on medium high. Stir occasionally. When cooked, add grated coconut, stir well and continue heating for 5-10 minutes, until all water has evaporated.